Perfect for a formal, ball or even a wedding. 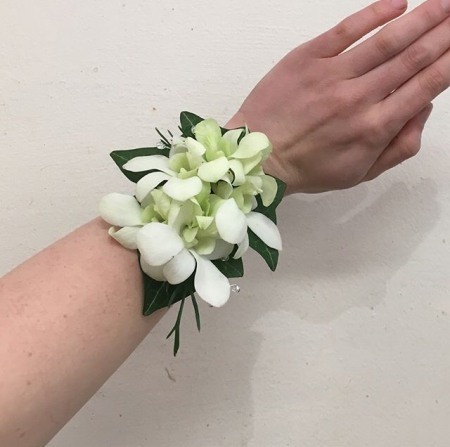 Our dainty wrist corsages are made with gorgeous singapore orchids, and ivy to back. They are attached to a silver band so they are very secure and are designed to last the whole evening without perishing. They are presented in a lovely clear box with ribbon so are ready to give as a gift. For a wedding we usually make to order with special colours and flowers to match other parts of your function.